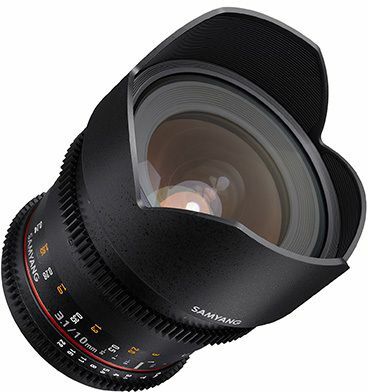 The frame of Samyang 10mm T3.1 II is compact and solid since it is made of high-strength aluminum alloy so trustworthy images can be captured even under inferior environment. Also, non-detachable petal type hood shelter the lens from unnecessary lights. 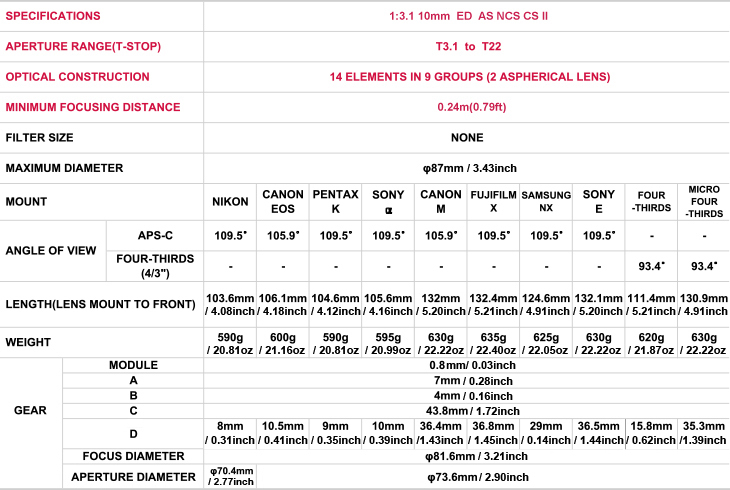 Available for 4 camera mounts: Canon EF, MFT, Nikon and Sony E-Mount.